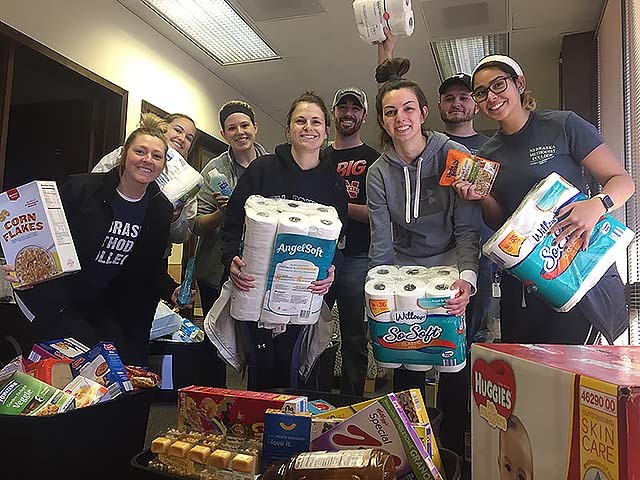 Even while on spring break this week, NMC nursing students were still learning, helping others and making a difference. It was a busy time for students involved in service learning activities in the community and on campus. 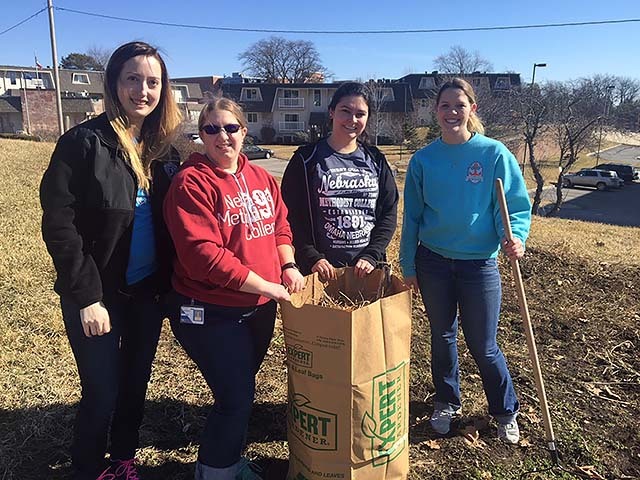 "As part of being a Nebraska Methodist College student nurse," said Trisha Baker, "we had the opportunity to participate in an Omaha immersion course to address the issue of food deserts and food insecurity." Afterward, Trisha wrote, "As a mother, I understand what it means to a parent to not have to worry about how your children are going to eat. Being a part of taking that worry off the minds of the students who are parents so they are able to concentrate on their studies was a very humbling experience." Out in the greater Omaha community, students gave their time and labor to work on other community gardens. They also volunteered at the Open Door Mission, helping to put together more than 1,700 backpack meals for children in need. Learn more about NMC's community outreach to deepen both community impact and student learning through the Center for Health Partnerships.